The Grand National winning horse and trainer - will they come back for another go in 2020? "It's probably the highlight of my training career." 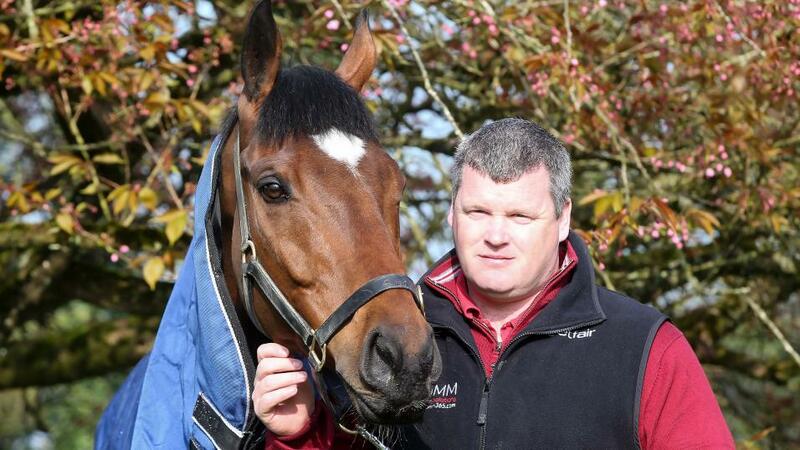 History-maker Tiger Roll could well return to Aintree for a crack at a third Grand National according to trainer Gordon Elliott who has been reflecting on his big race victory this morning. "There's no reason why not" said Gordon, when quizzed by Betfair's Barry Orr at Elliott's Cullentra House Stable in County Meath, following Tiger Roll's second National win yesterday. While the overriding priority will rightly always be the health of the hugely popular bay gelding, Gordon sounded a positive note on his 'horse of a lifetime' potentially coming back for another tilt at the National. On a bright Sunday morning, flanked by his National hero Tiger Roll, Gordon looked back on Saturday's two-and-three-quarter length victory ahead of big outsider Magic of Light. "It's probably the highlight of my training career," said Gordon, who has racked up numerous wins in huge races in his career so far. Tiger Roll seemed happy about his victory, too. He 'knows he's the man' said Gordon. Betfair punters are circumspect as to whether Tiger Roll will defend at Aintree making the nine-year-old [10.5] to win the National for a third time. Magic of Light is the closest horse to Tiger Roll in the very early betting. Before any of that comes a celebratory party in Summerhill near the stable, and it sounds like it'll be fun. It'll be a 'good night, a long night' according to Gordon. You can watch the full video of the interview by clicking into the tweet below.